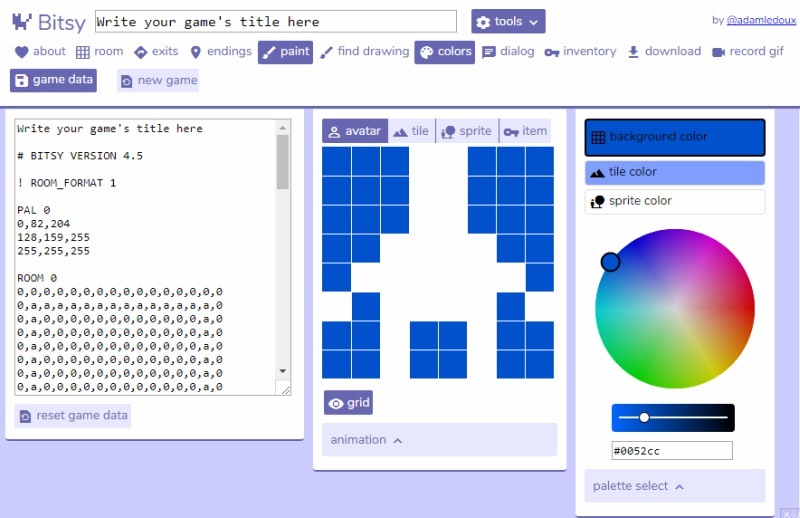 The Bitsy Game Maker is a web-based editor for building games and virtual worlds. In this editor, you have options for designing your avatars, sprites, dialogue, tiles, levels, and items. Once you have finished your designs, you can view them in the room panel. The appeal of this game editor is its simplicity. The color palette is limited, the pixel canvas is small, and there are only a handful of tools to make your game. These constraints provide a friendly workspace for developers who want to build short, narrative or vignette games. This is also great for newbies who aren’t adept at coding yet. Bitsy was launched some months ago, and has since gained quite a following among those looking for an easy game editor to use. You can try building your pixel art masterpiece with Bitsy here!